Visit Chop from 3-6 pm every day for our After Work Happy Hour menu and drink specials! 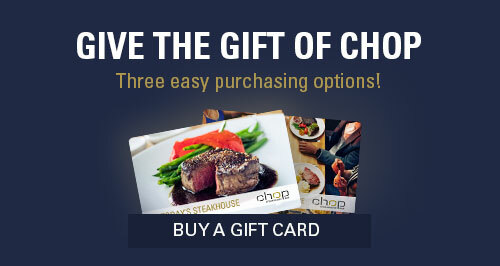 Enjoy the best appetizers, wines, beer specials and popular cocktails after work at Chop Steakhouse & Bar. At Chop we’re celebrating Happy Hour features in our lounges from 3pm to 6pm seven days a week! 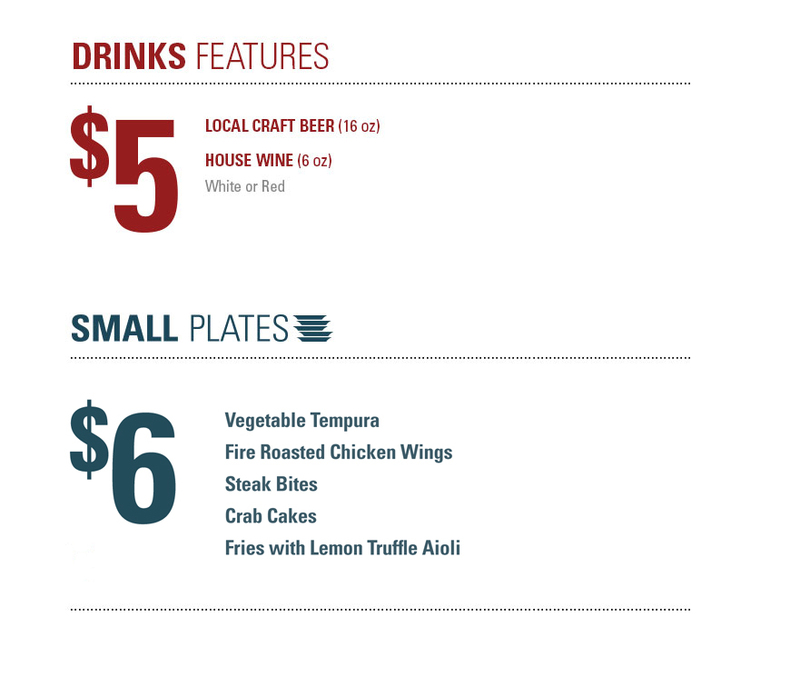 Stop by for food specials from our menu and enjoy snacks of small plates that you can mix and match! You can also find your new favourite bar drink with our $5 after work drink specials. Happy Hour only lasts for three special hours each day, so don’t miss your chance to enjoy these small plates and delicious drinks at special prices in the lounge. Plus, each day of the week comes with its own drink specials at every location - click to find out the Daily Drink Features available at your favourite Chop Steakhouse & Bar restaurant! Follow Chop on Facebook, Twitter and Instagram to stay up to the minute on everything we offer in our lounge and our dining room. Reserve a table online, or stop by after work for Happy Hour today!